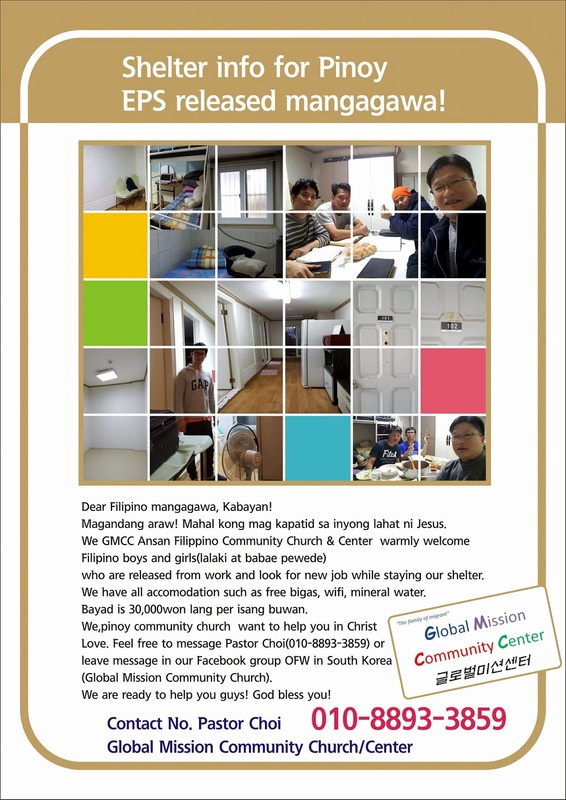 GMCC Ansan Filipino Community Church and Center offers almost-free lodging and accommodation for Filipinos EPS workers who are seeking for a new workplace. Located at Ansan, the center offers blankets, free rice, wifi, water and other necessities for a small fee. Check out their leaflet or you may contact Pastor Choi for more details at 010-8893-3859.